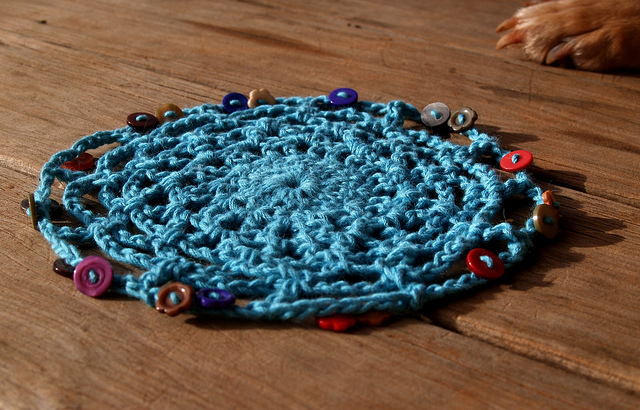 Today I am going to post the top five crochet projects that I love and really want to make someday. 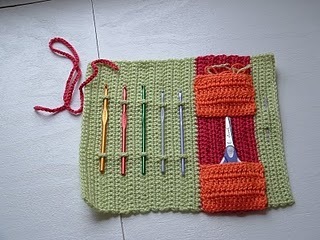 Would you like yarn with that for this crochet hook roll. Number two is the giant granny square crochet along group set up by Le Monde De Sucrette. 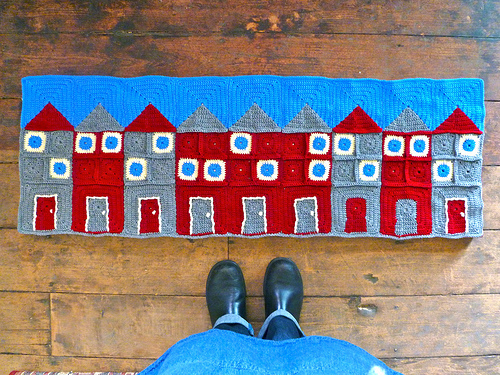 I’ve been making giant grannies for years and years, it was so good to find another group of like minded people. 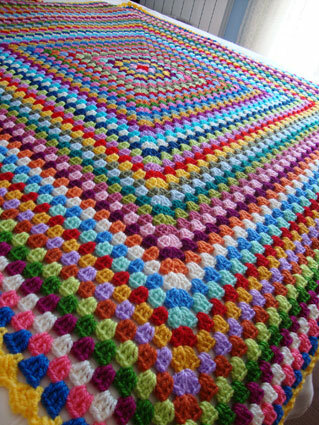 My next giant granny will be individual colors like this one. Third is Michelle at The Royal Sisters who has made this granny terrace houses, which is way to cleaver for me but I luv-em, lubbem and (sigh) would love to attend her crochet classes. Fourth is Jelly Wares and this jug cover, all because it reminds me of my childhood and eating homemade chuney on cornbeef sandwiches and drinking cordial. Fifth has to be the scarf Lucy made over at Attic 24. 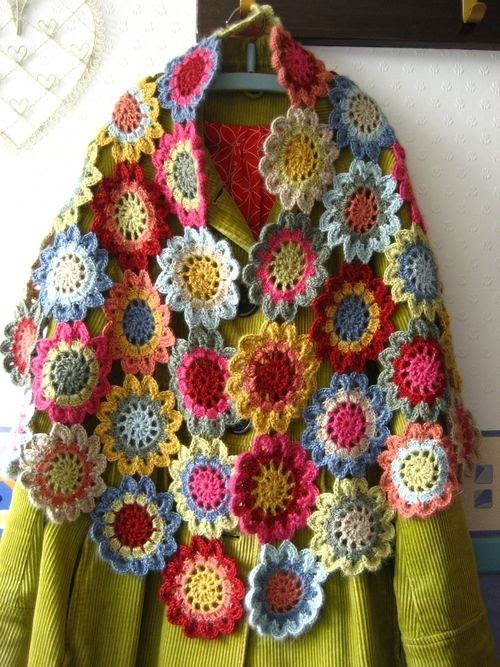 Once this scarf appeared it has been my dream to make one but I am slightly intimidated at how many flowers you have to make and join together. Slowly I will eek out enough time in my week for create all of the above, it could take a while so make sure to check back again. Hope you have a fabo weekend, thanks for stopping by?